A log hotel in St. Paul served as the site of the Minnesota Territory legislature’s first meetings in 1849. Not until five years later was the first capitol finished. But in 1881 the building was destroyed by a fire that broke out during a session of the legislature. The second capitol was completed in 1883, and it was too small for the growing state almost immediately. It also had ventilation problems. In 1893, bills proposing a new statehouse were passed and a commission was appointed to undertake the project. An architectural competition in 1895 attracted more than 40 entries, all variations on the domed and columned monumental buildings that had so impressed visitors to the 1893 World's Columbian Exposition in Chicago. The winning entry was the work of Cass Gilbert, an influential local architect who was just 35 years old. The chosen site was the rise of land called Wabasha Hill several blocks north of downtown. The present Minnesota State Capitol was an ambitious undertaking for a state that was only 37 years old. After nine years of construction at a cost of $4.5 million, the building was opened to the public on Jan. 2, 1905, one day before the 34th legislature convened. Channing Seabury, chairman of the Capitol Commission, broke ground for the new building on May 6, 1896. 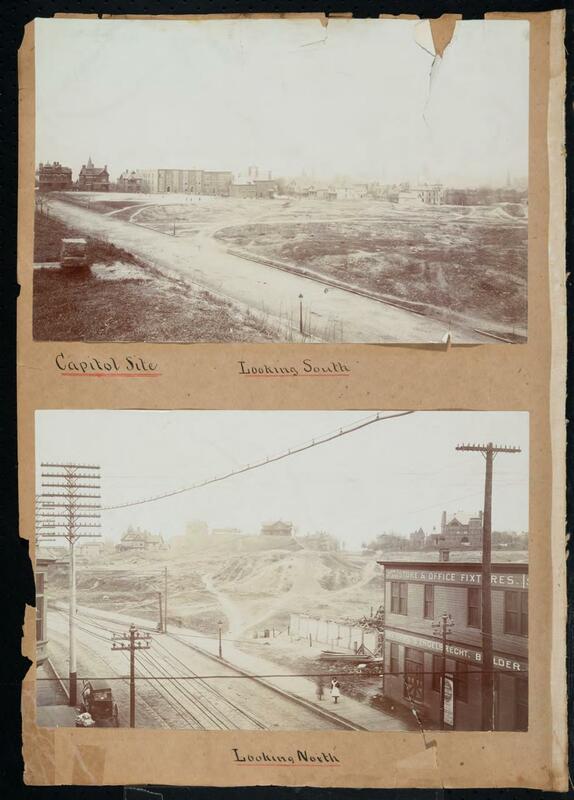 A recently acquired photo album contains over 275 photographs taken during the construction of the capitol building between 1896 and 1905. 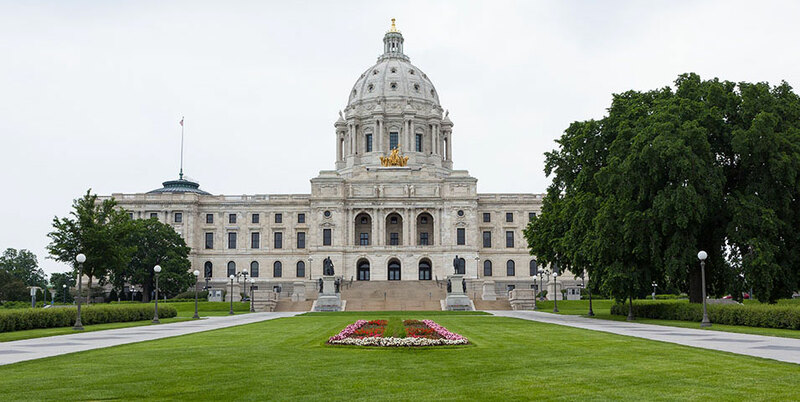 Biennial reports, minutes, photographs, correspondence, financial records, bids and contracts, printed materials, and more relating to construction of the Minnesota State Capitol building. The cornerstone was laid July 27,1898, by Alexander Ramsey, first territorial governor and the second governor of the state. This board was established in 1893 to oversee construction of what is now the State Capitol building. Includes a digitized photo album documenting construction of the Capitol; also includes Cass Gilbert's original design proposal, and leather and velvet samples (for chairs and drapery), within the Construction Bids section.